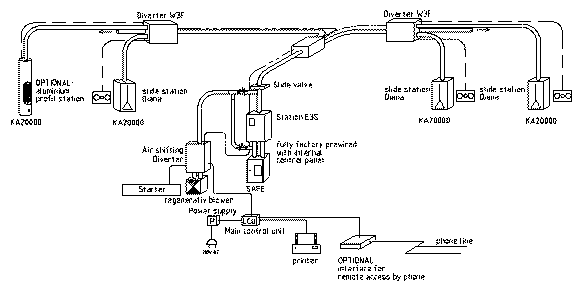 This microprocessor controlled pneumatic tube system, only requires one main pipe that runs from the main location and is distributed, by using a diverter, to each other location. The main station (either manual or automatic) is small and takes up very little room. Items can be shipped one way (Back to the main Location only) or two ways (Back and Forth from the main location to sub-locations). One sub-location point cannot send to another sub-location point. 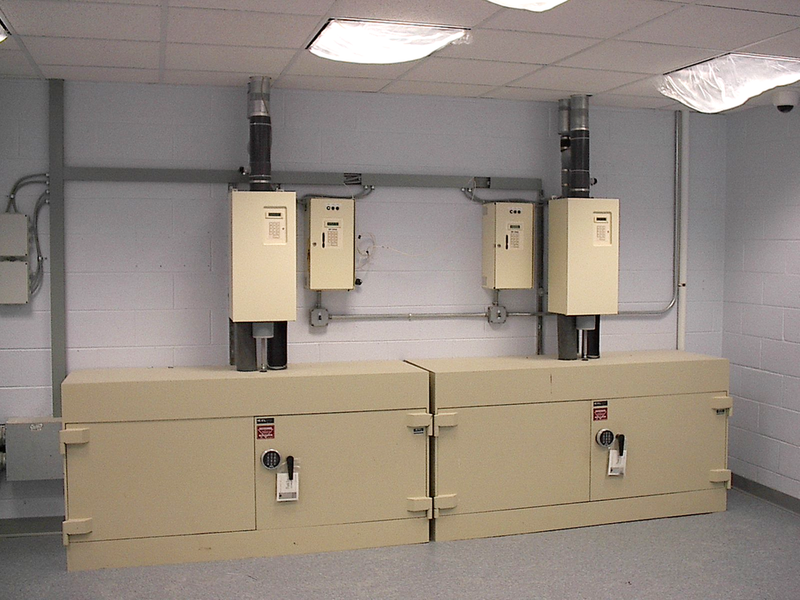 All the sub-stations are manual stations. The system is monitored and informs you of the arrival of each and every transaction and it will inform you of any system errors should any occur. The Semi-Automatic system has many options that can be added. Additional station, deletes and relocates are easily accomplished. Additionally the system provides an audit trail of the last five hundred transactions that can be saved or printed.